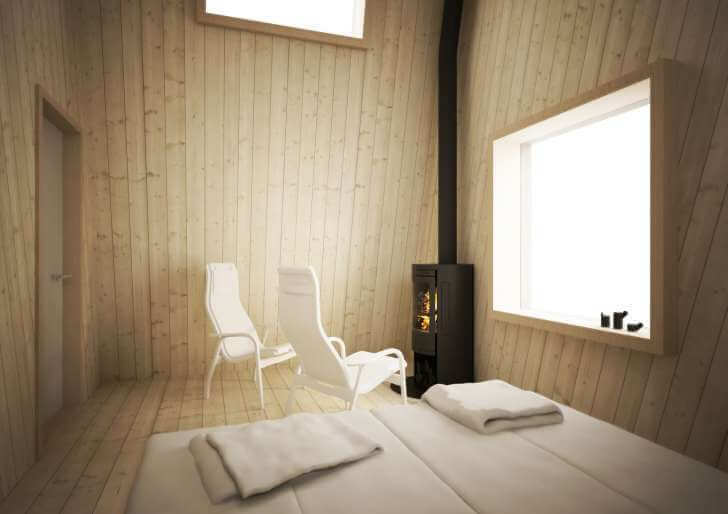 A Floating Sauna That Lets You Watch The Northern Lights! If you have ever had the opportunity of seeing the Northern Lights or aurora borealis groove with your eyes, you’ll be able to understand why so many people travel all the way to the places in the Northern Hemisphere. Now, a brand new floating spa hotel—Arctic Bath—in Sweden is preparing itself to offer its guests a service they’ve never experienced before. Yes, a floating spa right in the middle of the Lule River in Swedish Lapland. In summer, the spa will float on the pristine water and during winter, it’ll freeze into the ice. 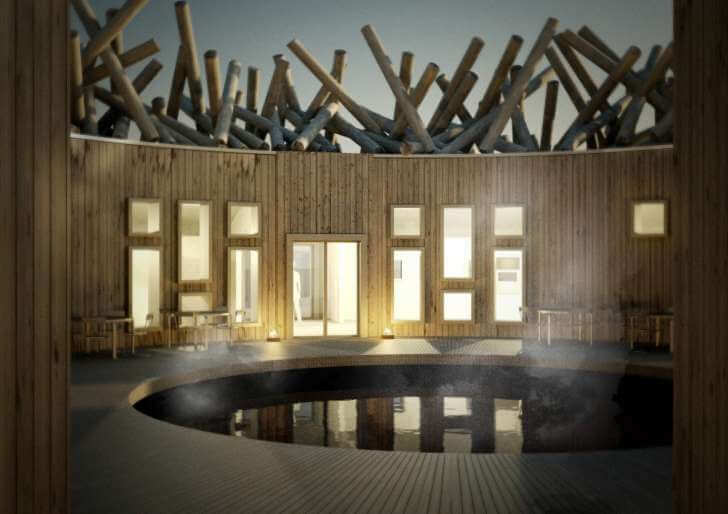 The Arctic Bath hotel is designed by the team that is behind the popular Treehotel in Harads of Sweden. The exterior walls of the spa hotel are covered in crisscrossed logs, an ode to the nation’s timber logging heritage. Guests can enjoy four saunas, a year-round outside cold bath (the water is maintained at 39° F), a hot bath, and other amenities. They can also get massaged, buffed, and polished in a designated treatment room. 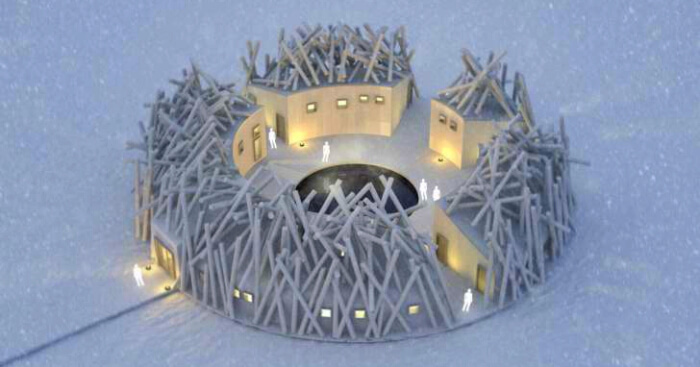 The main hub of the floating sauna will be circular with an open-air outpost for lounging. The area will be surrounded by a cold and hot bath, some saunas, spa treatment room, lounge, shops, a bar, and a restaurant. Right in the middle of the hotel, there’s a cut-out that creates a small pool of Lule River water. The best time to watch the Northern Lights while pampering yourself in the spa hotel is from November to March. If you visit it during the month when the moon is small, your chances of seeing the lights are higher. 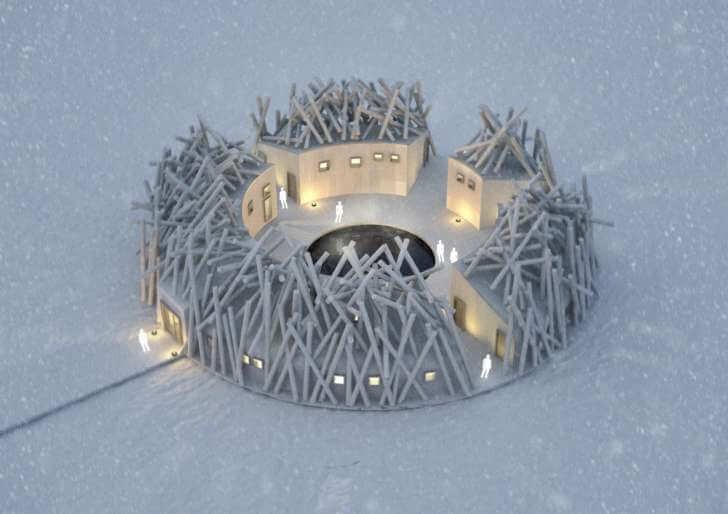 The Arctic Bath Hotel and Spa is set to open in fall 2018. It doesn’t appear to be accepting reservations right now, but you can keep tabs on its website to be one of the first guests of the hotel. Trip To Ladakh: When In Ladakh, Always Expect The Unexpected! A Family Road Trip From Bangalore To Paris: A Drive To Remember!